This handcrafted .999 fine silver pendant features the design taken from an ancient Greek bee coin on one side and texture from a natural leaf on the other, and can be worn to feature either side - giving you the versatility of two necklace looks in one. The pendant is round in shape and measures approx 3/4" in diameter. 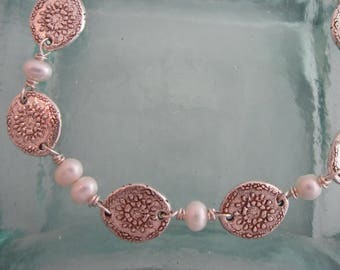 Both sides have a patina finish to enhance the detailing of the designs. 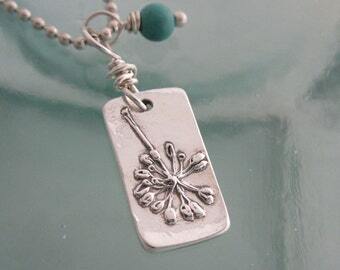 The pendant hangs approx 1" from the top of the .925 sterling wire wrapped bale to the bottom of the pendant. The beaded necklace is 17" with a 1 1/2" extender added. 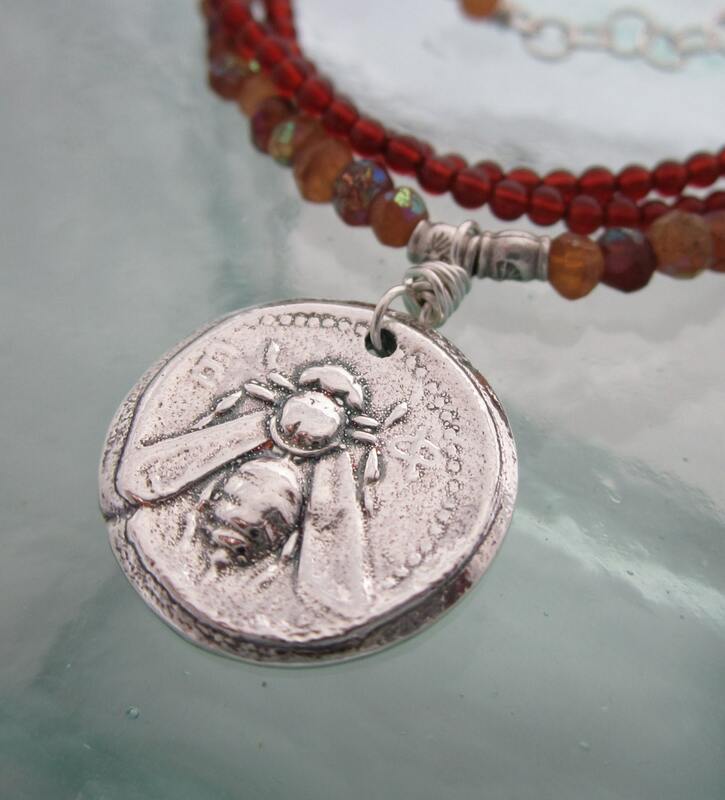 The necklace is fashioned with absolutely beautiful faceted mystic hessonite garnet, tiny round carnelian beads, and hill tribe silver beads, with a sterling chain extender.